Bratrské trio z brazilských pralesů nekompromisně kuje své železo již 28 let. Jejich vášní je death metal, jejich inspirací jsou fans. Vydat ze sebe maximum je u nich samozřejmost jako facka. Věřte v ně a předvedou vám nefalšovaný Armagedon!!! The writing sessions for Forged In Fury started in 2014 and continued into the first half of 2015 while the trio weren’t globetrotting in support of The Great Execution. At home in Sao Paulo, Brazil the brothers would gather five days a week to rehearse, re-tool, and polish songs slated for Forged In Fury. The time spent on songs like “Earth’s Cremation”, “Scars of the Hatred”, and “Timeless Starvation” proved invaluable, actually. At no time in Krisiun’s history has their music felt absolutely savage yet perfect for breaking neck no matter the venue size.“ When we are working on a new song we have to think how it will work live too,” Max considers. “Not just for the crowd, but for us. The whole point of playing music live is to make it exciting and interesting for the crowd and for the band. 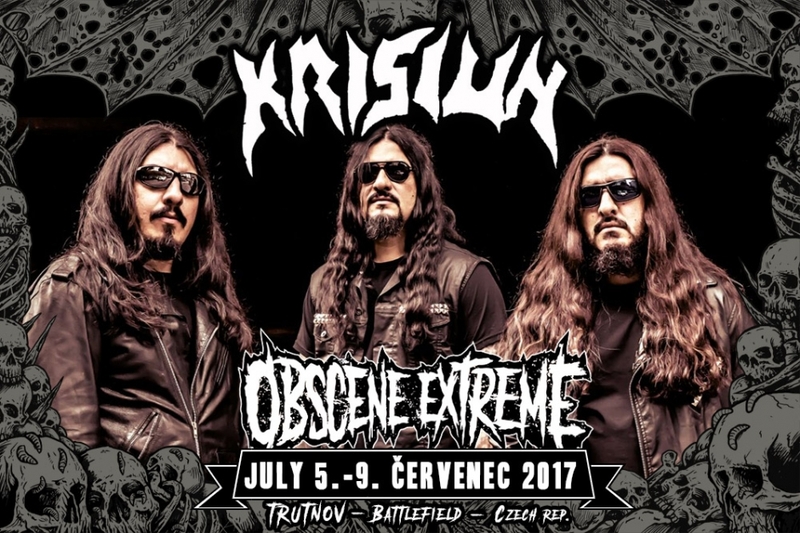 Thankfully, death metal still has Krisiun. Thankfully, death metal now has Forged In Fury. “The real bands will survive. They will keep it real, natural, spontaneous, and brutal,” Max laughs possessed. All hail real death metal. Eternal hails to Krisiun and Forged In Fury!